Friday, I noticed we had new wall posters in the main [Shamp’s Boot Camp] studio… I looked at them, read them, understood them, and even gone as far as over-analyzing them. “Why were some black and some white?”… Huh, I got it, so I thought. Little did I know, this was part of the universe, coming to teach me my biggest lesson so far, who “I am”. 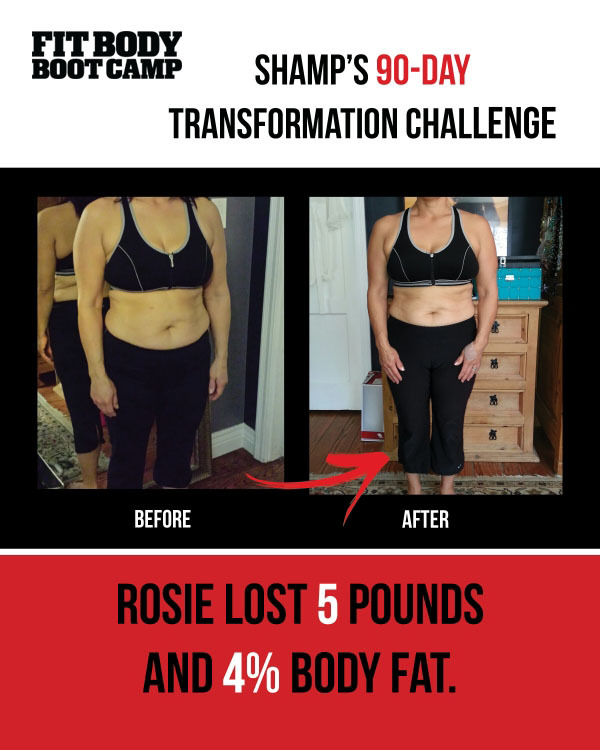 From the beginning of this 90 day challenge, I followed the instructions, took pictures, weighed myself, downloaded the daily menus, went as far as recruiting and partnering with others in boot camp to take on this journey. I did all these things and I did ok the first three weeks. I saw 3 lbs drop according to the scale. After that, I didn’t move in weight and I certainly didn’t feel like anything was changing. At 30 days, I had my husband take pictures as a marker. I saw a small change and it motivated me to stay with the program. Right before the 60 day marker, I was discouraged. My weight would yo-yo up and down between 3 pounds. I had my husband take another set of pictures, because clearly, this isn’t working for me. Again, to my surprise, I saw a change. My back rolls were gone, my muffins top didn’t spill out of my yoga pants (yes, yoga pants) and I started to see muscles in places like my arms and stomach. I became proud of these photos. I made a collage for myself, show off it to family and friends privately and kept it as a reminder every day. Although I saw this change privately, I was surprised to hear friends from boot camp and school mention a noticeable difference in my body. Why was I so shocked to hear this? This past weekend, I learned this game in a class. “I am”. It’s an introduction game, but instead of telling a short intro bio “I work at home, own a business, have three kids, go to school at (blank blank) I love horse riding and love flowers”, I had to dig deeper and introduce myself with who “I am” in the present moment as the feeling or noun arose…I introduced myself as “I am (started giggling) laughing, I am scared, I am grateful, I am worried, I am nervous, I am a wall, I am rooted…” I realized how connected I was to others in the room. They saw me for who I was at the moment, with no judgment, but appreciation. I felt loved. Sunday, I thought how powerful yet simple stating who “I am” easily allowed me to feel so loved by others. Their perception of me was exactly what I declared myself to be. Why haven’t I done this for myself before? I had never looked at myself in a non-judgmental way. This is my biggest lesson. I have perceived myself with much negativity without realizing what damage it has done to me spiritually, emotionally, mentally, and physically. Thorough out the 90 day challenge I had more emotional triggers of being unsuccessful than I care to admit. I am competitive, and I hate failing. Nonetheless, I surrounded myself with beautiful friends that would encourage me on my journey, share recipes with and go to boot camp with me, even twice in one day. I have a wonderful community to keep my spirits up. That is priceless. I lost five pounds according to the scale, as well as 4% body fat. It’s a good achievement, if not a great achievement. Right now, “I am proud”. I hope that sticks. This evening, I sit here with a glass of wine, half empty. It’s my celebration glass… I enjoyed it for a few moments, but prefer to trade it out for some lemon water and that is HUGE if you know what I mean! I am grateful, loving, honored, appreciated, a work in progress, needy, strong… not in that order.